MD Packaging is Thermo Fisher Scientific’s exclusive sales/service partner in Canada. When finding contaminants in your food or packaged products is critical to protecting your brand, Thermo Scientific X-ray Systems offer high-tech, cost-effective, easy-to-use solutions. We work with you to find the model best suited to your business, so you no longer worry about the little things that can cause big problems. 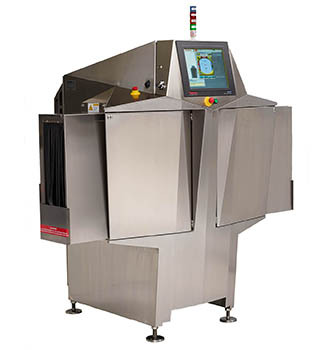 Transition easily and quickly from metal detection to x-ray inspection with the versatile Thermo Scientific™ NextGuard™ Conveyor X-ray Detection System. The NextGuard system offers enhanced capabilities to inspect packaged products for missing pieces or components, under and over-fills, and other quality problems with easily customizable vision software. Pro X-ray Inspection System builds on the proven success of the standard Thermo Scientific™ NextGuard™ C330 and C500 models by adding more configurations and capabilities, expanding the range of addressable applications. The Pro models offer a wide range of single-belt configurations with built in rejection systems, shielding, heavy duty motors/rollers and stainless steel flange bearings for more demanding large package and wet applications. The conveyor can handle up to 5x more weight and can be extended in length up to 3.5 m with flexible, integrated, built-in rejection systems. The Pro can also utilize up to three AC variable frequency drives, making complex, multi-conveyor custom configurations possible. 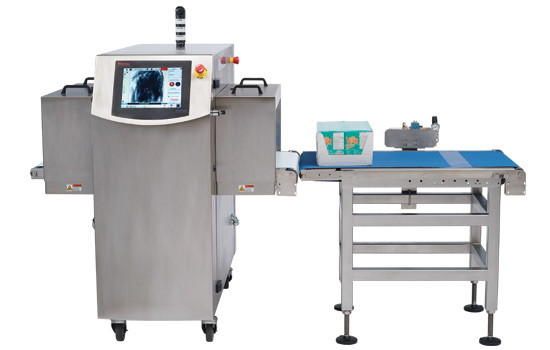 Protect product integrity with flexible x-ray inspection systems that detect a range of contaminants and product flaws in nearly any size or shape packaged food product. 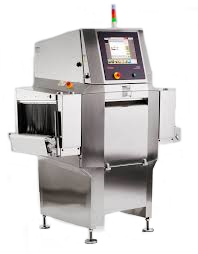 The Thermo Scientific™ Xpert™ Bulk X-Ray Inspection Systems find contaminants such as metal, rock, plastic and glass and remove them prior to further processing, providing instant cost savings. Detect foreign objects anywhere in cans and bottles with the Thermo Scientific™ Xpert™ Sideshoot X-Ray Inspection System. 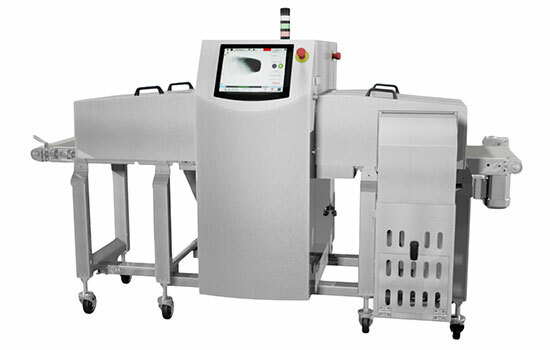 This high speed, high performance horizontal x-ray beam (back to front) system provides single beam x-ray inspection for tall, upright packages and includes software specifically tailored to detect objects in all regions of cans and bottles. 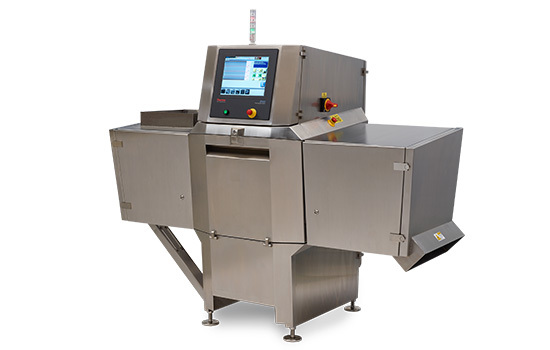 Protect food safety and improve quality with a high performance x-ray contaminant detection and product inspection for bags, boxes and other flat packages. 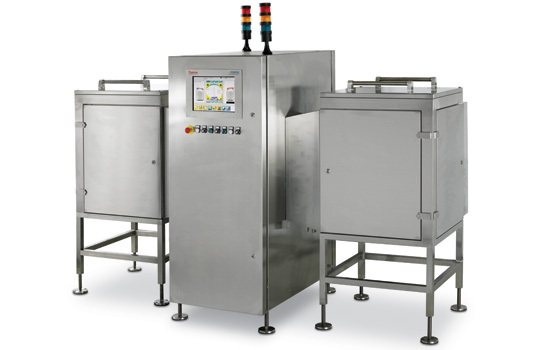 The Thermo Scientific™ Xpert™ Conveyor X-Ray Inspection Systems meet HACCP and retailer food safety and quality requirements, and can be configured for any application or challenging factory environment.